Sadie's wings can take her anywhere she wants to go. And they always bring her home again. The days are never long enough for Sadie. So many things to make and do and be. This book is everything. This book is about as perfect as a book could possibly be. This book isn't just about Sadie. This book is about us all. We are all Sadie. Some of us just have to look harder to find her within ourselves than others. But she is there. Gift this book to your daughters to show them they can do anything or be anyone they want to be. Gift this to your sons to show them it's OK to be "like a girl." Sadie is a role model to kids and adults alike. 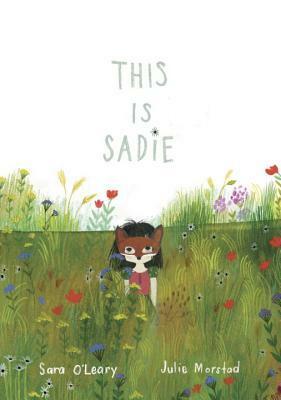 Let's not forget there's a Sadie in all of us.